GOT $40 MILLION? 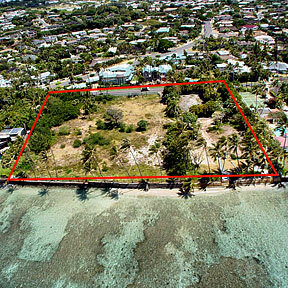 : This 2.76-acre Kahala lot being offered for sale can also be bought in three individual parcels for $13.5 million each. Overgrown vegetation and erosion head the list of deficiencies, none critical, on dam inspection reports. An appellate court hears arguments on Kamehameha's policy. Singles learn the importance of leftovers in making mini-meals. The three Hawaii golfers are tied for 20th in public links stroke play. The company recently hired 120 additional workers, but the extra help wasn't enough. Reports indicate that domestic production of methamphetamine and workers' use of meth have declined.